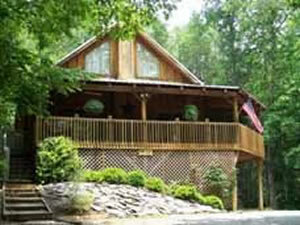 Description - A Smoky Mountain Getaway is a getaway to remember. Our Townsend cabins are meticulously clean and very tidy. With plenty of privacy in the center of beautiful rolling hills and valleys, in Townsend, Tennessee, at the entrance to Great Smoky Mountains National Park, we are at the threshold of plenty of things to do. Spend your day hiking one of many gorgeous trails in the Smokies where you will see waterfalls, mountain floral and fauna, and possibly wildlife. Cades Cove, nature's open air museum, is a short distance from our cabins. There you will find 11 miles of beautiful meadows, wild turkey, many deer, and occasionally a black bear. Cades Cove also contains numerous historical structures, including pioneer cabins and farmsteads, an old grist mill, and various historic cemeteries. Additional fun activities nearby are river tubing, horseback riding, Smoky Mountain museums, and bicycle trails. 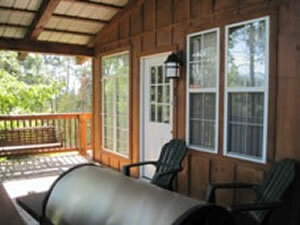 Our cabins can accommodate two to sixteen people. If you have a larger group, our cabins are located just a few steps away from each other and can accommodate additional people. Townsend has excellent mom and pop restaurants where you can enjoy casual dining at affordable prices. A Smoky Mountain Getaway is a getaway to remember. Our Townsend cabins are meticulously clean and very tidy. With plenty of privacy in the center of beautiful rolling hills and valleys, in Townsend, Tennessee, at the entrance to Great Smoky Mountains National Park, we are at the threshold of plenty of things to do. Spend your day hiking one of many gorgeous trails in the Smokies where you will see waterfalls, mountain floral and fauna, and possibly wildlife. 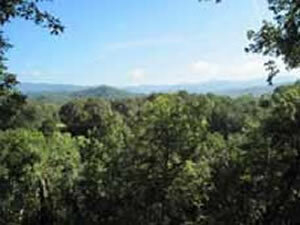 Cades Cove, nature's open air museum, is a short distance from our cabins. There you will find 11 miles of beautiful meadows, wild turkey, many deer, and occasionally a black bear. Cades Cove also contains numerous historical structures, including pioneer cabins and farmsteads, an old grist mill, and various historic cemeteries. Additional fun activities nearby are river tubing, horseback riding, Smoky Mountain museums, and bicycle trails. 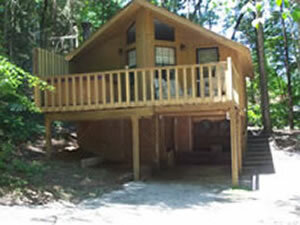 Our cabins can accommodate two to sixteen people. If you have a larger group, our cabins are located just a few steps away from each other and can accommodate additional people. Townsend has excellent mom and pop restaurants where you can enjoy casual dining at affordable prices.